Because each of us is unique, Individual nutrition counseling takes a comprehensive look at where you are today, working with you to create a personalized nutrition plan to help you get to where you want to be. Create the lasting change that can last a lifetime. Whether you are simply looking to be proactive about your health, lose weight, deal with a medical condition like diabetes or heart disease, or want to better manage digestive issues like IBS or Crohn’s disease, Active Nutrition has a realistic solution for you. 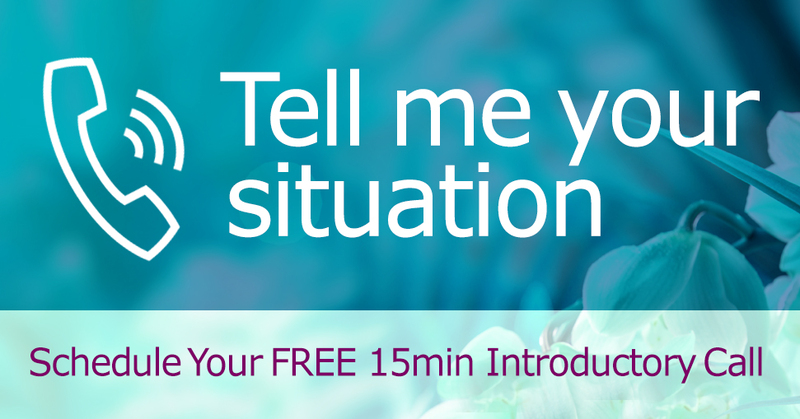 SCHEDULE A FREE 15-MINUTE INTRODUCTORY CALL. We can briefly discuss your needs and determine how best to proceed. Just click the button below to select the date/time most convenient for you. COVERAGE. You may be eligible for reimbursement of services through your health insurance plan. We provide appropriately coded documentation of service for this purpose. ACTIVE NUTRITION does not process insurance claims. All fees are paid at time of service or prior to appointment, depending on how appointments are booked. Here’s 3 easy ways to contact me. Meet with me when and where it’s most convenient for you – from home, during lunch at work, or when you’re traveling anywhere! Online or telephone conferencing means no more office visits, and worrying about drive time, weather or traffic! Introducing a Gut Restoration Program that WORKS! Many health problems stem from a stressed or damaged gut. This program will help you get to the root cause of your health problems to allow your body to heal - revitalizing you back to health. Healthy Cooking classes where everyone participates 'hands-on' to prepare and enjoy nutritionist-approved, themed, healthy recipes together! Since the end of March, I have lost about 35 pounds! Maria has helped me eat healthier. I cut out unhealthy snacking between meals. Along with watching portions and eating healthier, I also make sure I walk more at work. Since losing weight, I have more energy and I’m sleeping better. Over the past 12 weeks, I have lowered my blood pressure and my cholesterol is better. Maria has been a great help, during our online consultations, she has provided me with great advice and continued words of encouragement. I have been able to successfully lose weight and I know I can keep it off. I really feel great! I wanted to let you know how much I got out of working with you. I have Crohn’s Disease and for years just plain haven’t felt good. I thought I knew what I needed to do to manage it but just wasn’t doing it. With the MyGutProgram – I learned everything I needed to know, not just the diet, to get my crohn’s into remission. Maria helped me make the changes in my diet and lifestyle in a plan that wasn’t overwhelming. I feel normal again! Thank you, Maria, I’m so glad I found this program! Maria has a knack for taking complex subjects and breaking them down into clear, easy to relate to language. She takes the confusion and leaves you with straightforward, useful practices - Habits I put to use in my life right away. She cares about the people she works with. I look forward to working with Maria in the future. Oh, more thing. I’ve never actually met in person. I live on the West Coast and all my sessions have been over video conference. Thanks again Maria!!! Please leave me a REVIEW. Click either of the icons below. Thank you very very much. We can briefly discuss your needs and determine how best to proceed. Just click the banner above to select the date/time most convenient for you.